The Queen, directed by Stephen Frears (Mrs Henderson Presents), takes an intimate and touching look inside the British Monarchy the week following Princess Diana’s death in August 1997. 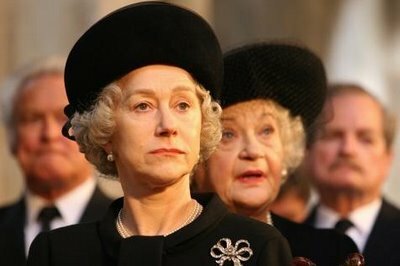 Queen Elizabeth (Helen Mirren) rules according to the long standing traditions of the English monarchy. Because Princess Diana was no longer a member of the royal family, the Queen and Prince Phillip (James Cromwell) prefer to keep their mourning for Diana a private family matter. The newly elected Prime Minister Tony Blair (Michael Sheen), however, believes that the Queen needs to publicly address Diana’s death in order for the monarchy to stay connected with the people of England. Queen Elizabeth then finds herself in a difficult position where she must stand by traditions but satisfy the needs of her grieving people. The Queen is a compassionate drama and powerful character study while at the same time it is an oddly humorous masterpiece. The film skillfully draws you into the lives of Diana and the Royal family by juxtaposing real-life images, forming a deeply personal and honest connection to the Queen. Helen Mirren is the Queen. In every scene, shot and second, there is no doubt that The Queen is Mirren’s movie. Her performance is Oscar gold and one that should not be missed. I have a feeling that she probably will. I am so excited! I finally found a theater relatively close to me where it is playing!!! Yay! Yup. I know that feeling.